The most sublime way to add gorgeous turquoise blue to you ensemble. 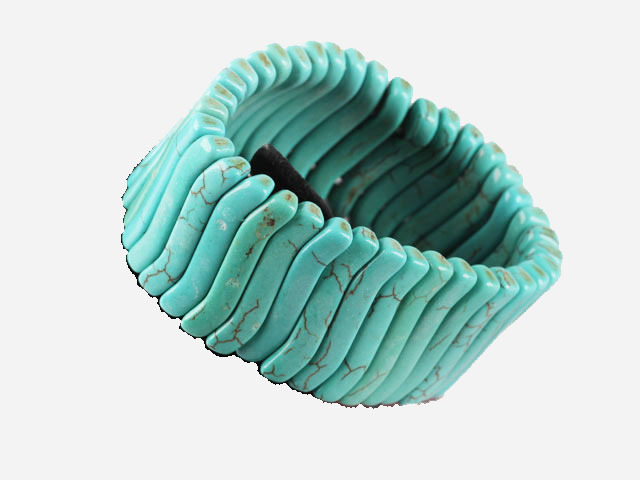 The Elise is a simple design of organic elongated turquoise-hued beads layered along a stretch bracelet. We love it paired back with red coral and Tibetan silver accessories. Don't forget to check out our Clearance Shop where you'll find a huge array of discounted cheap jewellery.